But just a week ago, the Daily Mail was so impressed with Pegida they sent one of their reporters to join one of its marches. Remind me. Which paper supported the rise of the Third Reich in the 1930s? Oh and supported apartheid in South Africa? So no change and a complete inability to learn from history. The original article makes exactly those points. Ok I should have checked the original before making the wise cracks. 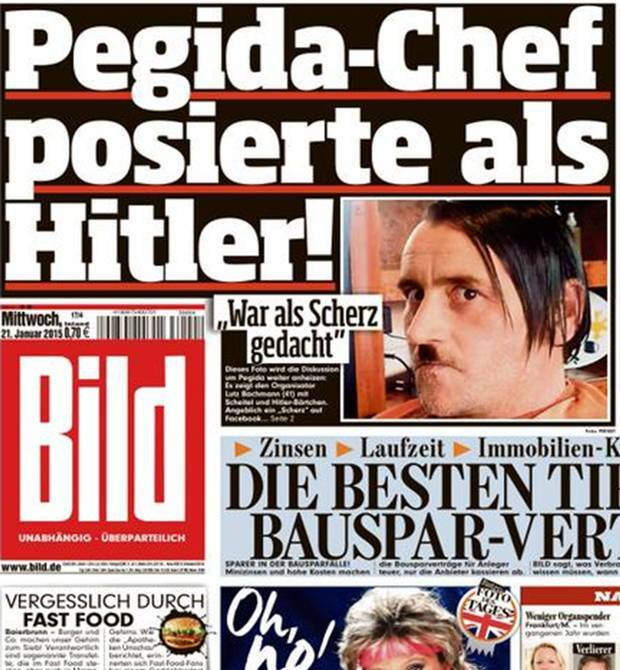 Last time Pegida marched through London there was a beautiful picture of a shaven headed, tattoed, inked “decent and rational” German male shouting at a police horse. The horse wasn’t impressed either. So much for yobs with gobs and Islamaphobic losers. Very reasonable, indeed. If he’d been shouting that the horse was gay, he’d have been arrested. Tattoed should have been studded, brain gone somewhere. That Daily Mail link is from a year ago, have you posted the correct link? Tony, the whole article is from a year ago – Tom re-posted it, and so did I, because Pegida was holding a march in Birmingham yesterday. Nothing new here. The Mail had nazi sympathies during the 1930s and once had a Moseley supporting headline “Hurrah for the Blackshirts” after a particularly obscene rally in London. Fascism depends on inflaming the poor, ill-educated and disenfranchised and turning them against people very much like themselves. Fascism, for this is what we’re talking about, offers quick, simple, often brutal solutions to complex problems and its appeal lies there. There were echos of this in the Duke of Windsor’s “Something must be done”. Except with fascism the solution always lies in mass murder. I think the editor of the Daily Mail, when he’s stopped abusing his own staff, should take a few history lessons.